The pound is currently trading against the euro at €1.132 according to Bloomberg figures. It has dropped from €1.134 which the exchange rate saw yesterday, after highs of €1.140 late last week. The exchange rate has struggled to improve this week thanks to mounting concerns surrounding the latest Brexit news and the UK economy. Laura Parsons, currency analyst at TorFX explained how the pound had struggled. The Scottish economy has grown in the first quarter of 2018 by 0.2 per cent, double the rate of the UK. UK GDP growth was just 0.1 per cent for the first quarter. Finance Secretary Derek Mackay told BBC News: “Scotland’s economy is strong, with output per head the highest in the UK outside London and the south-east. Earlier this month, reports found that British factories had their worst month in more than five years in April. Data from the Office for National Statistics found that manufacturing output had the biggest fall since 2012. The latest Brexit news has also revealed a lack of progress in the latest negotiation to leave the EU next year. With the country due to leave by March 2019, Theresa May has been warned that “time is running out” for a good deal, according to Irish Prime Minister Leo Varadkar. The transition period that will end after December 2020 has led to many UK businesses and companies to issue a warning that they could be forced to relocate. Airbus issued a statement that 14,000 jobs could be at risk. Ryanair has continued to advise against a lack of a good deal that could affect UK aviation. Theresa May will be discussing a number of issues with the 27 EU leaders at the summit in Brussels over a number of days. Ms Parsons explained how the UK exchange rate could be affected by other factors this week. She said: “The main cause of GBP/EUR movement today is likely to be Germany’s inflation data. UK inflation remains steady at 2.4 per cent in May. With the decisive game in Group F between Germany vs South Korea kicking off at 4pm German time, workers fled their offices early hoping to see the 2014 World Cup winners secure victory against the 54th best team in the world. 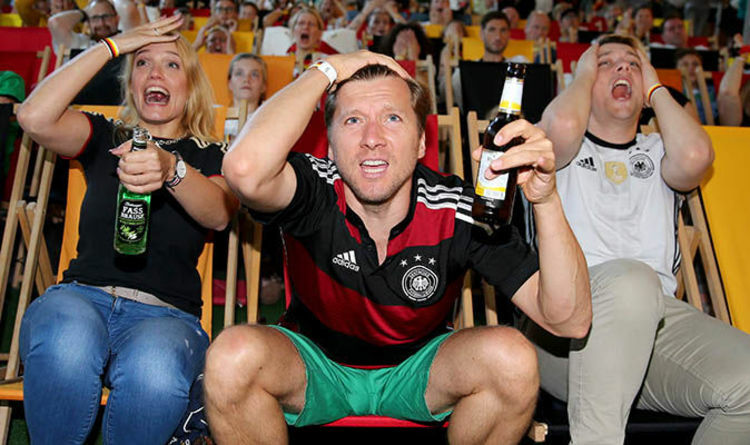 With an estimated 70 percent of workers estimated to have skipped work to watch the game, economists at the influential Institut der deutschen Wirtschaft (IW) forecast the German economy would take a €200million hit as the country tuned into the match. Before the embarrassing clash the institute said there was more to life than money and football, claiming that the German economy would get a much-needed boost as sport once again unites the country. And top economist Christoph Schröder told Handelsblatt that despite the economic cost, there was a larger value placed on “watching an exciting football match together with your colleagues” adding that “it’s not always about money, but also about team-building”. Unfortunately for Germany they lost, after extra time goals from Kim Young-gwon and Son Heung-min inflicted a 2-0 defeat on the defending champions, leaving Germany down and out at the bottom of their group. In a moment of global camaraderie, sports fans around the world took pleasure in seeing Germany crash out. Nearly every hybrid car on sale in the UK fails to meet its claimed fuel economy, according to shocking new research from HonestJohn.co.uk. The report also found out that some cars miss the advertised fuel economy rating by as much as 80mpg. 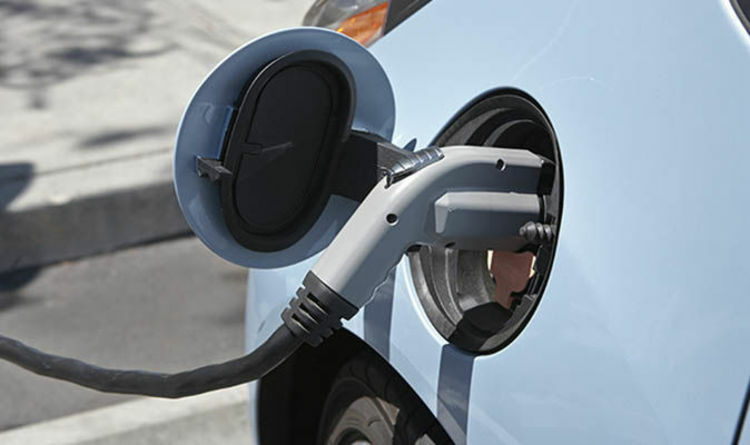 Analysis of of around 148,000 real MPG fuel reports submitted by UK drivers discovered that self-charging hybrids and plug-in hybrids are the most misleading when it comes to fuel consumption. In fact, the research says that just one in 39 cars deliver their advertised MPG. According to the report, the Mercedes C-Class C350e is the UK’s worst performer achieving just 36.9 per cent of its official fuel economy, while the BMW 3 Series 330e and Volkswagen Golf GTE are the second and third worst with a respective 37.2 per cent and 38.1 per cent. Hybrid cars are typically promoted as eco-friendly and efficient cars but the research found that a typical hybrid will on average only return 70 per cent of its advertised MPG. This in conjunction with the rise of up to 8p in fuel costs since the end of March is bad news for hybrid owners. On the other end of the scale The Lexus GS 450h is the best hybrid in the UK for Real MPG, returning an average of 84.2 per cent. In second place is the Toyota RAV4 Hybrid 2WD (79.3 per cent) followed closely by the Toyota Yaris 1.5 VVT-I Hybrid with 77.9 per cent. The final entries in the top five are the hybrid versions of the Kia Niro (77.4 per cent) and Toyota C-HR (77.2 per cent). The real MPG intuitive was set up in 2011 after the consumer-led motoring site received flood of complaints stating poor fuel economy from their cars. Data on the website allows drivers to input the real-world return they get from their car which also informs other motorists. Honest John’s Managing Editor, Daniel Powell, said: “This is the most comprehensive study into hybrid fuel economy ever to be carried out. “However, while these models are advertised with lofty MPG figures that will appeal to cost conscious drivers, our research shows that on-the-road economy is somewhat different. It was the third year running Simons had topped the list. Simons pay-packet alone makes him richer than the entire nations like the Seychelles and Caribbean holiday hotspot Antigua and Barbuda. Second in the list of pay packets, compiled by Institutional Investor magazine, was David Tepper of Appaloosa Management, who recently bought the Carolina Panthers American football team, with $ 1.5bn. Citadel’s Ken Griffin came in third with $ 1.4bn, also more than double the $ 600m he made the previous year, while Ray Dalio of Bridgewater Associates dropped from second place to fifth with $ 1.3bn. 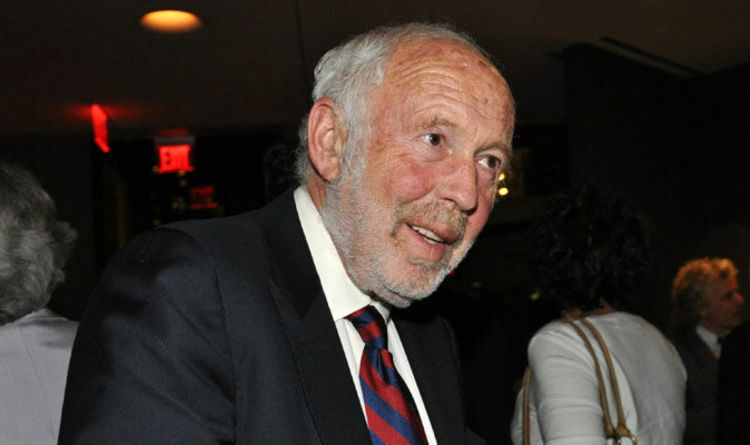 Fifth was Israel Englander of Millennium Management, who made $ 975m, followed by Chris Hohn of TCI Management, Third Point’s Dan Loeb, Charles Coleman of Tiger Global, David Shaw of DE Shaw, and John Overdeck and David Siegel of Two Sigma. A notable rebound in returns drove up the earnings of hedge fund managers globally – with the top 25 raking in $ 15.4bn, up from $ 11bn in 2016. The 25 top earners took home an average of $ 615m. Pound to euro exchange rate: GBP 'SLIDES' following economy fears – What is the forecast? 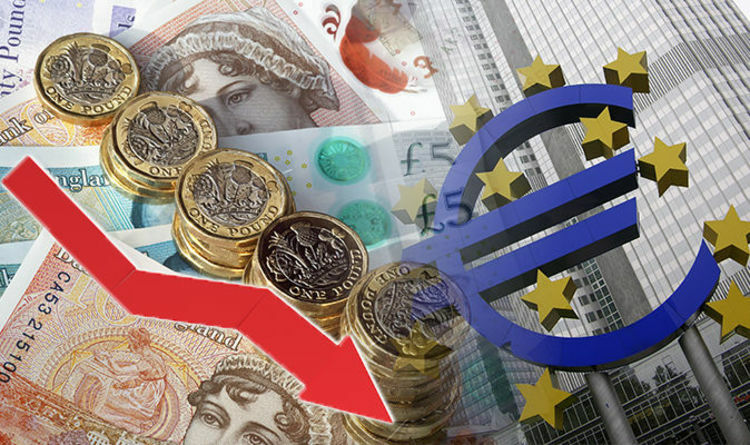 Despite this, the pound saw a slight drop, trading against the euro at 1.1460. 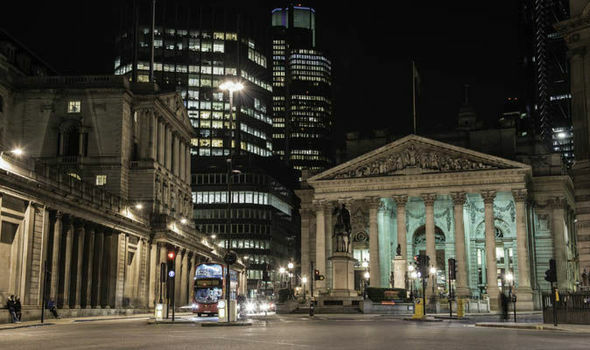 According to the latest Bloomberg figures, the GBP/EUR fell again last night with the pound opening against the euro at 1.1433 this morning. Laura Parsons, a currency analyst at TorFX, explained: “Although the Eurozone’s unemployment rate fell to a fresh five-year low, the euro failed to see much benefit in light of mixed inflation data for the currency bloc. Ms Parsons revealed that the UK’s service industry PMI has caused the fall. She said: “With the UK’s services PMI sliding more than expected, fears that the economy slowed in the first quarter of the year saw the pound decline on Thursday. The Guardian has reported that this is the weakest month for the service since it was announced that the UK would leave the European Union. A decline triggered by the cold snap that swept the country and froze the economy. The UK was not, however, the only country to suffer a decline in sales. The GBP/EUR exchange rate decline was limited by the Eurozone’s sale data, which Laura described as “disappointing levels of consumer spending. Looking at the future of the exchange rate, Ms Parsons revealed the pound could regain some strength over the weekend. Laura previously explained that the UK’s service sector equates for over 70 per cent of the pound. Although the Eurozone’s unemployment showed to have little impact on the pound. Last week saw UK Mortgage data to be lower than expected in February having fallen by 11 per cent. The number fell from 40,031 to 38,120, below the predicted rates of 39,000 and the lowest since August 2016. Although, this had little effect on the pound according to Laura. 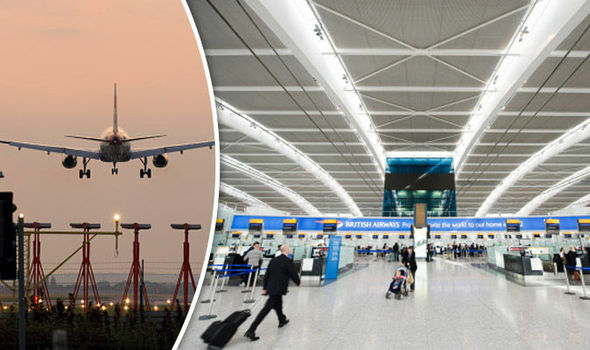 A MAJORITY of MPs believe a third runway at Heathrow is the major infrastructure project that will benefit the UK economy the most, according to a new poll. DESPITE gloomy forecasts the economy picked up pace in the second quarter of this year following a robust performance from industrial production and the services sector.